Surface checking of backsawn material may occur. Some twist may occur, but can be reduced by final steaming treatments although this may accentuate checking. 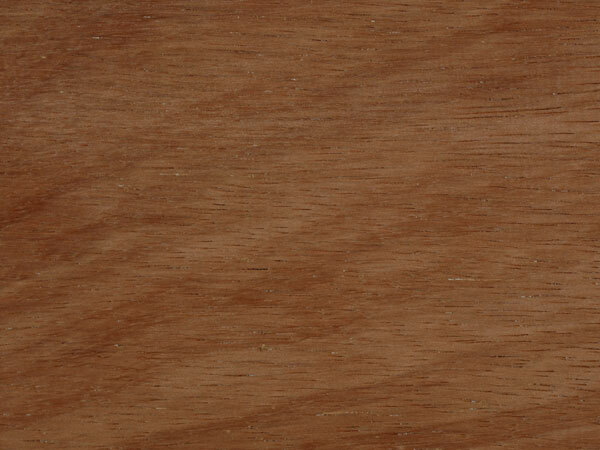 The sapwood is approximately 2 inches wide, a pale brown colour with an orange tinge. The heartwood is moderately hard and heavy, usually pinkish in colour, occasionally red and streaky, but turning brown with age. It is lustrous but lacks a distinct figure and the texture is intermediate and uneven. The grain is normally straight and fissile, or slightly interlocked, but severe spiral grain can occur. In hardness the timber is comparable with European Oak. Not usually difficult to saw or machine. Some radial surfaces may be slightly roughened by interlocked grain. There is no difficulty in gluing, nailing, varnishing or painting seasoned timber, but for a good painted finish a filler is desirable. Furniture making and musical instruments. Sapwood subject to Lyctus attack. Dries easily and well, both in the open and in the kiln, apart from the tendency to blue stain in the early stages of drying. No clear distinction between heartwood sapwood. Colour varies from whitish to a pale shade of brown, often with a pinkish tinge. 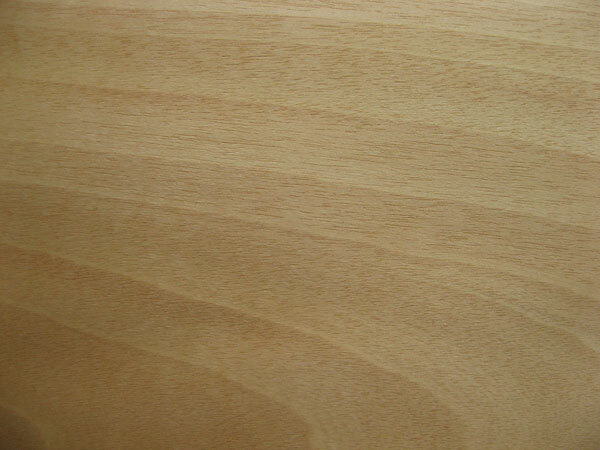 Fairly plain in appearance although quarter-sawn surfaces sometimes show a growth-ring figure, and where wavy grain is present there is sometimes a mottle figure. The grain varies from straight to wavy, and the texture from medium to coarse. Ease of working is dependent on the amount of silica present and can vary from easy to hard. Moderate to severe abrasive action on tools and cutters can be anticipated. Tungsten tipped tools are to be recommended in cross-cutting and boring. Adequate support is needed to prevent chipping out and care is needed planning in order to obtain a smooth finish. It takes and holds nails and screws well, and can be glued, stained and polished. 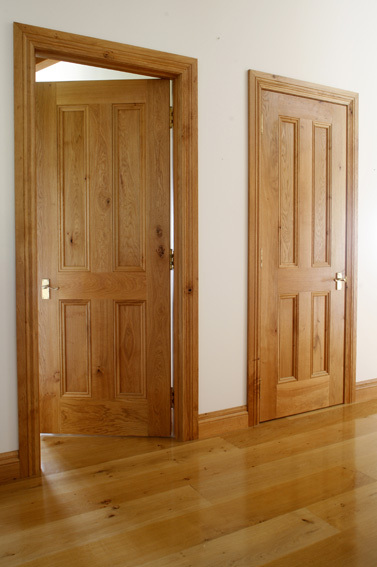 General utility timber for interior joinery and finishing. Presence of silica can be very hard on tool. Care needed when planning, cross-cutting and drilling to prevent chipping out. The timber is quarter sawn to facilitate drying. The colour ranges from light beige to light brown with sometimes a pink tint. The grain is usually straight but sometimes interlocked or wavy. Such material often produces an attractive fiddle-back figure. The timber saws and machines well. Re-sawing or deep cutting is not recommended. 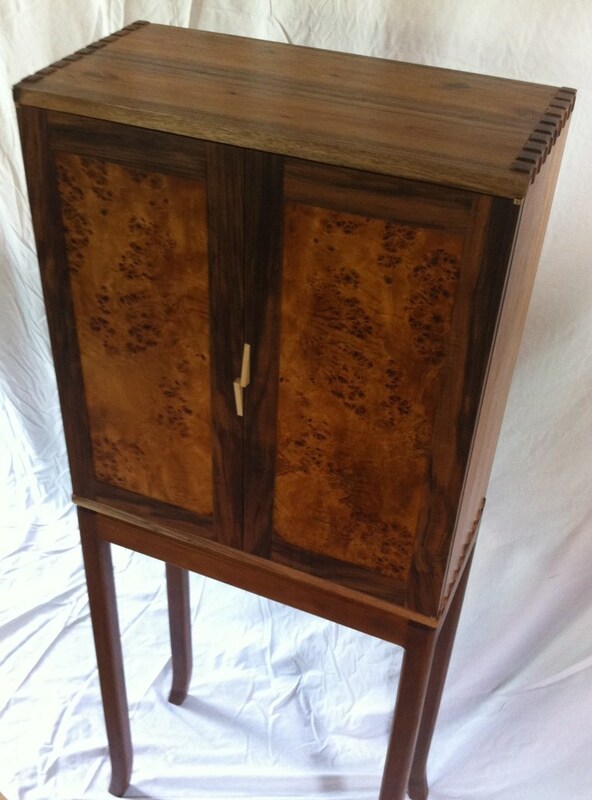 Finishes well and can be glued, screwed, stained satisfactory. Timber for interior joinery , cabinet making and finishing. Great for flooring. Colour varies from light beige to light brown, often with a pinkish tinge. Gum steaks are a regular occurrence. The sapwood and heartwood are almost white to beige with the heartwood having incidences of dark beige to brown features on occasions. Well figured with good strength, elasticity, toughness, stiffness and hardness allied to its light weight. Machines reasonably well. Good staining and polishing qualities. 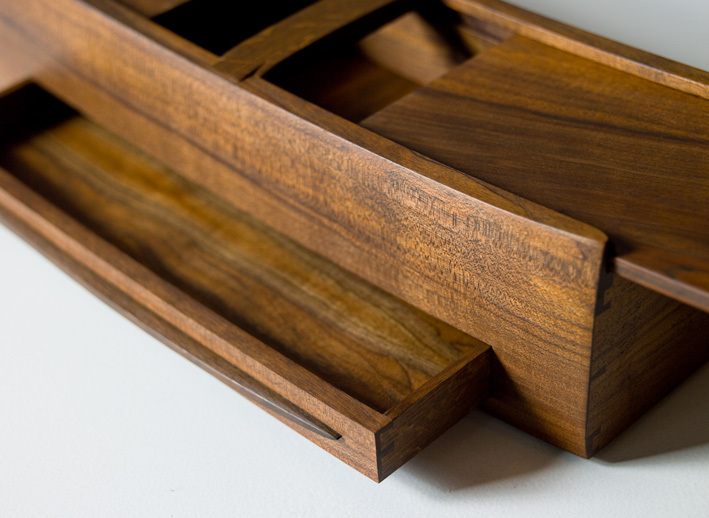 High class joinery,boat interiors, musical instruments and striking tool handles. Good strength and toughness / weight ratio. Good polishing and staining qualities. English, Danish, German, etc., Beech according to origin. Dries fairly rapidly but tends to warp, twist, check and split. Steaming which reduces the tension in the timber is normally introduced. This process however colours the timber to pink / red. 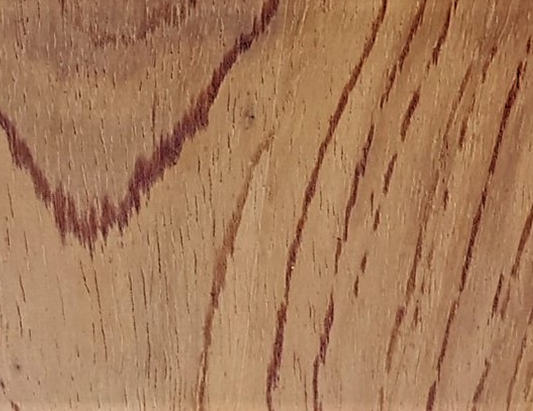 No clear distinction between heartwood and sapwood by colour, which varies from cream to pink / red depending on the amount of steaming the timber is given. Works well and is capable of good smooth surfaces. Good turning and bending properties. General utility timber for interior joinery, finishing and cabinetmaking. Used extensively in Europe for domestic woodware, tool handles and flooring. Straight grained with a fine even texture. Will discolour to pale yellow with time. Graded similar to American standards. Generally narrow with no fixed widths. Dries fairly easily and without undue degrade, although there is some tendency to cupping. The heartwood ranges in colour from a lustrous golden-brown to reddish-dark brown with a fairly dark brown zone marking the growth rings. 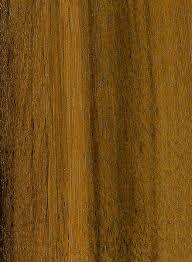 The grain is usually straight but may be interlocked or wavy and the texture is medium and even. 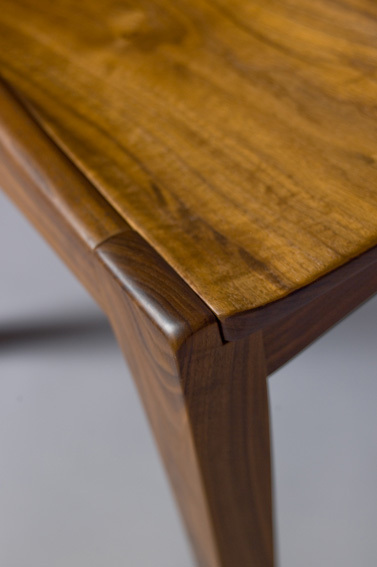 The wavy grain produces a beautiful fiddle-back figure. The timber works fairly easily but cutting edges must be kept sharpened for end grain working. A reduction of cutting angle to 20° is usually beneficial in planning and moulding, particularly when curly grain is present. It can be screwed and nailed well but gluing properties are often variable. It finishes well and takes an excellent stain and polish. 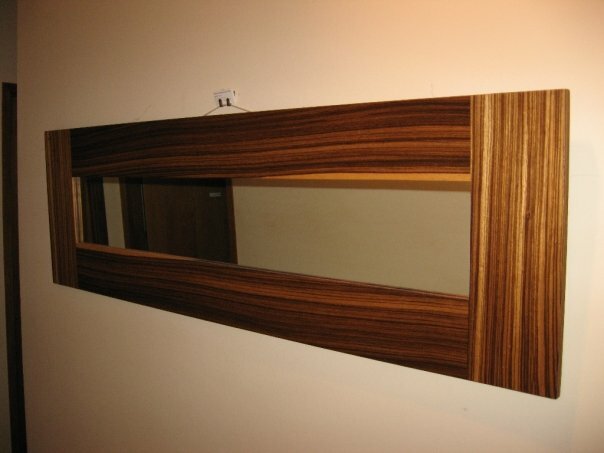 Fine furniture, shop fitting, cabinets, gun stocks, musical instruments and decorative veneer. Golden brown to reddish, dark brown. Machines and turns reasonably well. Short lengths and narrow widths. Fine, straight, close grain timber. The heartwood varies in colour from reddish-brown to rich red. Fine yellow, narrow brown coloured pith flecks and small gum pockets are a common feature. Sawn timber is graded on a one face heart basis. Fine furniture, high class joinery, boat interiors, musical instruments. Attractive fine, close grain timber. Takes stain and polish very well. Good machining and turning capabilities. Colour reddish brown to rich red. Face graded for heart content and then generally to a minimum of 75% to 80%. Fine, narrow brown coloured pith flecks and gum pockets are a common feature. Heartwood is a light to medium brown, darkening to a reddish brown with age. 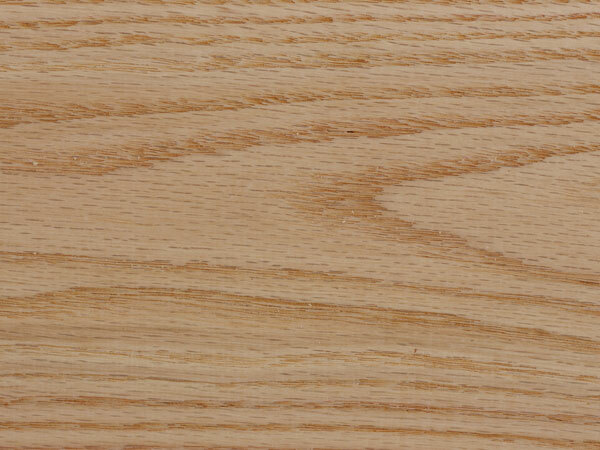 Narrow sapwood is well-defined and is pale white to light brown. Fine, straight, to Spiral or interlocked. Ring-porous; 2-4 rows of large, exclusively solitary early-wood pores, numerous small latewood pores in dendritic arrangement; tyloses common; growth rings distinct; rays not visible without lens; apotracheal parenchyma diffuse-in-aggregates (short lines between rays). Overall easy to work with both hand and machine tools. Chestnut splits easily, so care must be taken in nailing and screwing the wood. Due to its coarse texture, turning is mediocre. Glues, stains, and finishes well. Fine furniture, high class joinery, Flooring, musical instruments. Difficult to dry as prone to surface checking. The colour ranges from light to dark pink. The grain is usually interlocked, occasionally straight. To facilitate drying the timber is always quarter sawn. The timber works fairly well but it is rather difficult to obtain a smooth surface unless the cutting angle is reduced to 20°. It nails and screws fairly well. Stains and polishes reasonably well. Light pink to dark pink. Machines reasonably well with care. Takes stains and polishes well. Grain usually interlocked with a coarse texture. As the wood weathers, it takes on light silvery gray tones. This natural process can be inhibited by using a sealer to keep its natural colour. Garapa has a golden to yellowish brown colour, which darkens with age. The wood is fairly chatoyant and appears to shift from dark to light colouring in different lighting angles. Garapa is fairly easy to work, despite its density. Glues and finishes well, and is about average for dimensional stability. Yellow brown timber, darkening with age. Grain is usually straight, but can also be interlocked. Uniform medium texture with a moderate amount of natural luster. Rated as durable, though vulnerable to termites and other insect attacks. Almost immune to decay and termites. Highly resistant to marine organism and fire. Extremely resistant to preservative treatment. Slow to season with a risk of splitting. Light greenish yellow to dark olive-green, sometimes marked with brown or black streaks. Sapwood pale yellow in colour, shading gradually into the heartwood. Bole 50-80 ft long, cylindrical, diameter 20-35 inches. Easily sawn, in spite of a slight blunting effect. Planning is not difficult despite the high density of the wood and interlocked grain. Preboring is recommended for nails and screws. A very heavy hard timber, suitable for use under exacting conditions. Outstanding in most of its strength properties, and of very high durability and having excellent resistance to attack by marine borers. Available in very large sizes and long lengths, and is therefore suitable for piling, piers, lock gates, dock and harbour work. Useful for pier decking and hand rails, flooring and in engineering industry as bearers for engines. Gives good service in chemical plants for vats, filter press plates and frames. Suitable for joinery in both exterior and interior situations and used also for fishing rods and as centre laminates for longbow and general construction. Requires reasonable care in kiln drying to avoid degrade. It is variable in colour from yellow to fairly dark brown. Texture is medium to coarse and even. It has neither taste nor odour. Works with moderate ease with most hand and machine tools and finishes well. to avoid picking-up the grain. It nails, screws, and glues well. 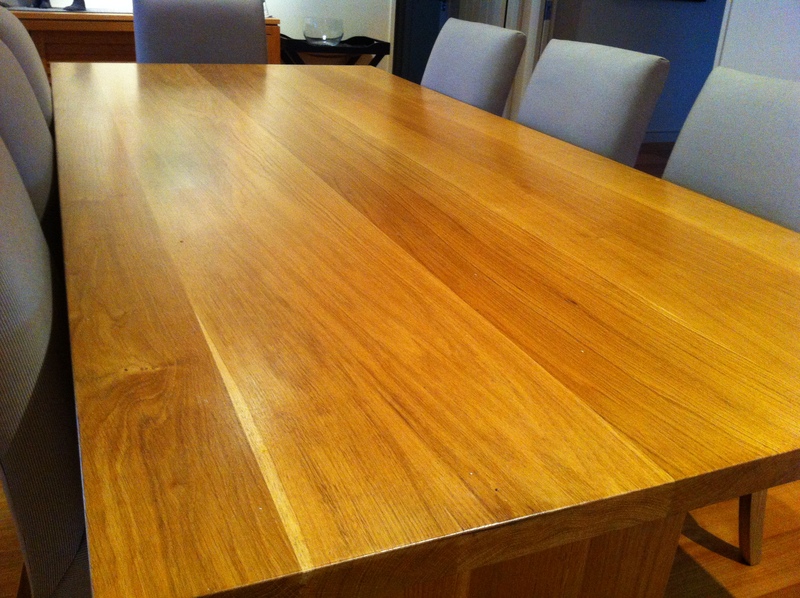 Although requiring a grain filler the wood takes stain well and gives good results with polish. It can be cut into veneer and it has moderate steam-bending qualities. It is suitable for high grade joinery, interior fittings, window frames, doors, staircases, heavy furniture and laboratory benches, bank and shop fittings, boat and vehicle building, wagon work and flooring. Takes stains and polish well but may need grain filling. Stone like calcareous deposits, which are sometimes present can cause tool damage. Seasons readily by air or by kiln drying although there can be some warping due to sloping grain and some care is required to prevent checking in wide boards. 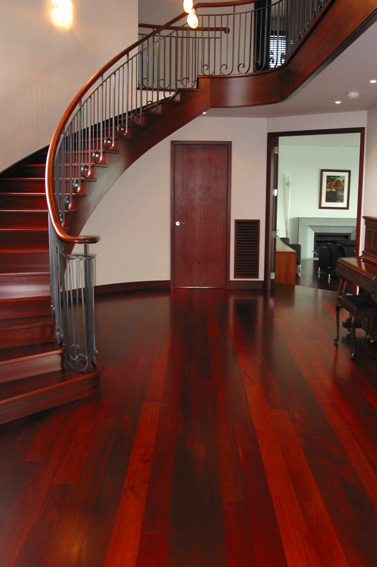 A large tree producing light to dark red timber darkening to a uniform red brown mahogany. It can have a straight or interlocked grain with an even medium coarse texture. It machines, nails and glues well, takes an excellent polish and holds paint very well. It is also prized as carving timber. One of the world’s most durable timbers and highly resistant to fire, termite and marine borer attack and impervious to acids. 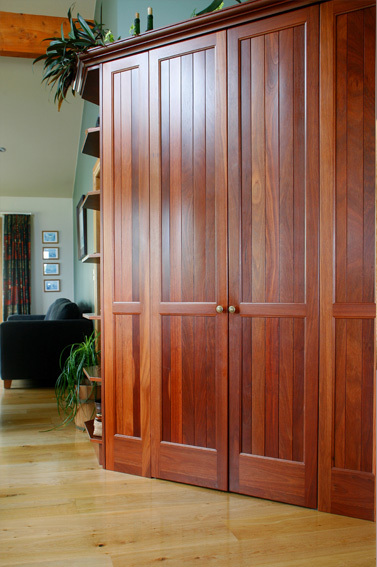 Jarrah has a very wide range of uses, previously regarded as a heavy construction timber for bridges and wharves it is now favoured for interior finishing, joinery, cabinet-making and flooring. Pink to dark red brown in colour. Even, medium coarse texture with fairly straight grain. Can be subject to small dark fungal markings. Prone to gum pockets and veins. Rather difficult to dry, tends to be rapid with moderate surface checking and warping and a liability to case harden. Slow drying will overcome these tendencies. The heartwood is salmon red to orange brown, marked with dark brown and russet brown streaks. The wood has a golden lustre. The grain is commonly interlocked with a medium to coarse texture. Moderately difficult to work because of its high density. It nails badly but has good screw holding, glues well. It has a moderate blunting effect on tools which must be kept sharp, and a reduced cutting angle of 20° will provide a smooth finish on the interlocked grain. The wood stains well but does not take a high polish. 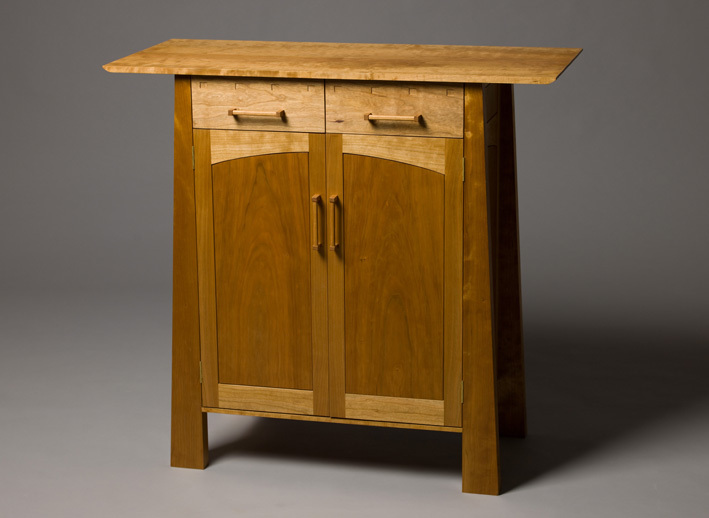 Furniture, cabinet making, joinery and turnery. Its high shock resistance makes it ideal for tool handles and sports goods, excellent for flooring, stair treads, ship planking, gear cogs, wheel rims, looms, general building construction. Used for steam bent boat parts in place of oak. Lock gates in waters free from marine borers. 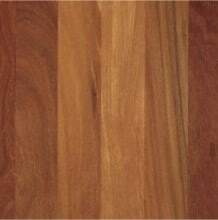 Second growth timber has a wide sapwood of a grayish-pink colour which is sliced for decorative veneers for panelling and furniture. Very strong, hard and tough. Does not take a high polish. The timber dries slowly without appreciable degrade but if submitted to rapid drying conditions, there is a definite tendency for end splitting and surface checking to occur. It has a low shrinkage factor. The wood is hard and heavy, the texture is moderately coarse but even and the grain may be straight or interlocked and is often wavy. Sulphur-yellow and dark coloured deposits are characteristic of the species and can be commonly seen in the vessel cavities. Saws well, however with the fairly high incidence of gum, saws tend to become clogged. It planes well but there is a tendency for the grain to tear out in quarter-sawn material. A reduction in the cutting angle to 20° is beneficial. 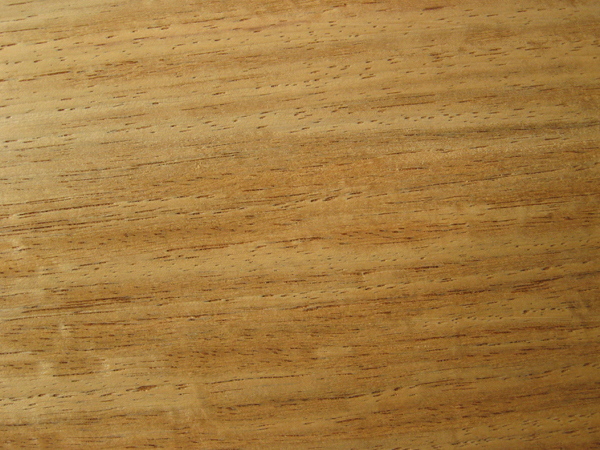 The wood tends to split when nailing but holds screws well and can be stained and polished reasonably well, however patches of oil that exude may affect the finish. The yellow deposits are soluble in water and the dye produced does stain. 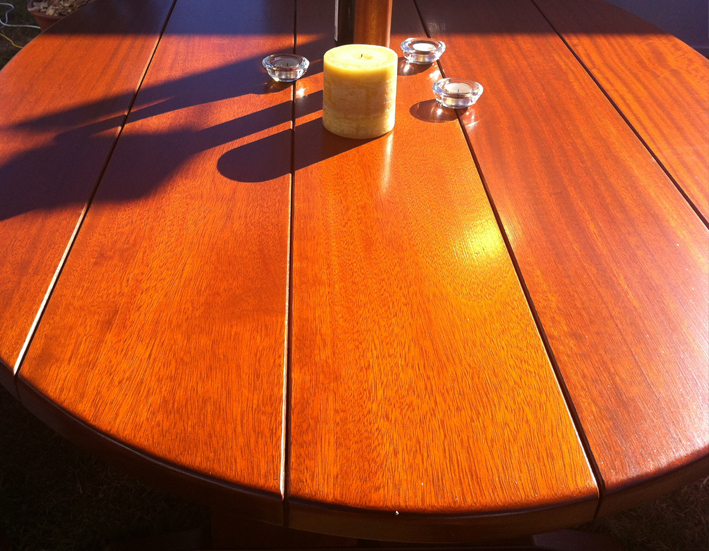 If early attention is given to any staining it can generally be removed by scrubbing with milk or lactic acid. A very good heavy construction timber. Ideally suited for decking and outdoor furniture. 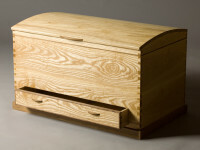 It is also used in internal joinery and flooring, striking tool handles and carving. Yellow brown timber which will turn red brown with age. A very strong, durable, stable timber. Does leach when in contact with water. 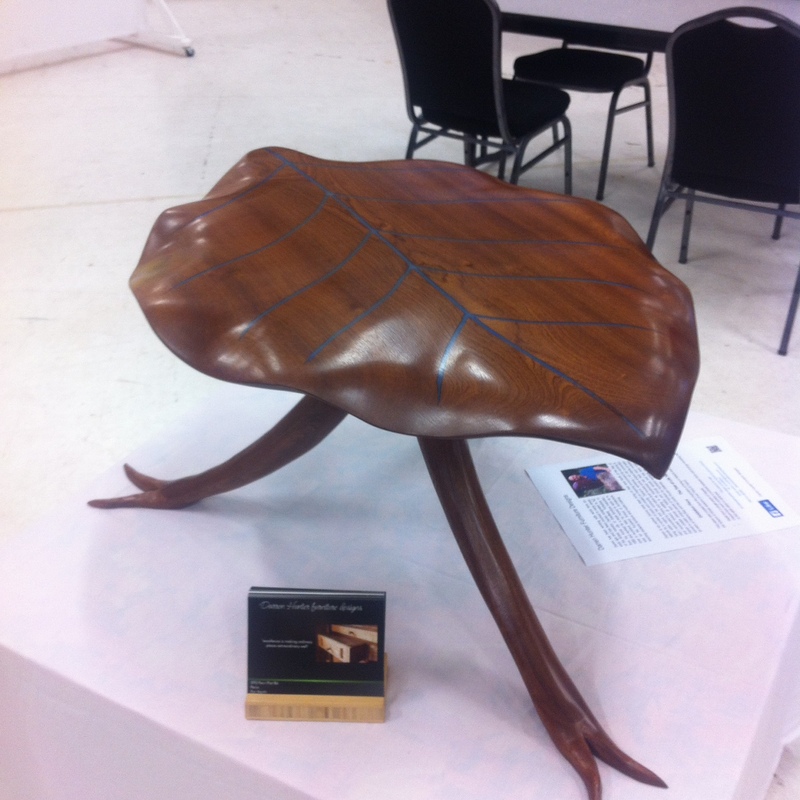 Care needed when staining, polishing and gluing due to natural resins. 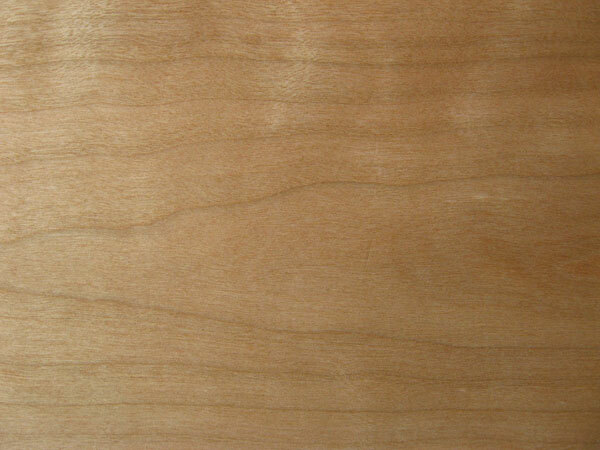 Hard maple is strong, heavy, hard, straight grained with a fine texture. The colour is cream with fine red/brown bands. Reduction of cutting angle to 20° assists the finishing operation. It can be stained, polished and glued satisfactorily but is hard to nail or screw. 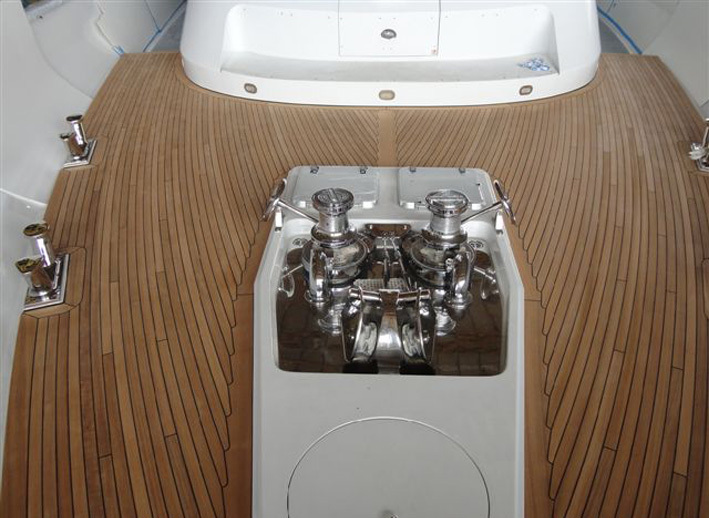 Flooring, high-class joinery, boat interiors, musical instruments and sporting goods. Pale cream with fine red / brown markings. Straight grained with a fine texture. Can be difficult to work. Hard to nail or screw. English, French, Polish Oak etc. according to country of origin. Natural tendency to dry slowly, with liability to split, check or honeycomb, and needs care in both air drying and kiln drying. There is medium movement in service. The heartwood resembles other Oaks with a biscuit to pink colour, with a reddish tinge. 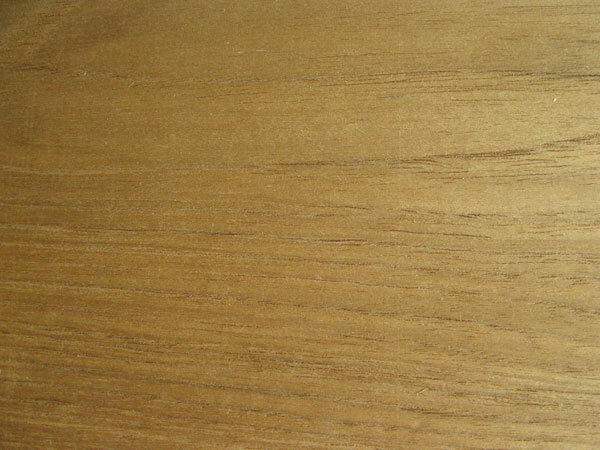 Mostly straight grained and coarse textured, with a less attractive figure than White Oak due to smaller rays. 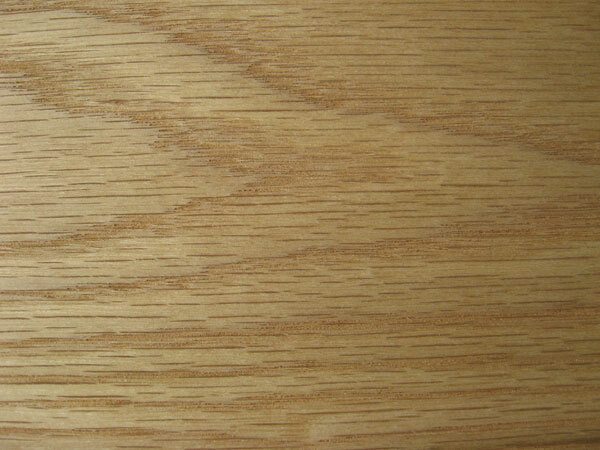 Southern Red Oak has a more rapid growth than Northern Oak and is harder, heavier and coarser textured. Varies according to the density of the wood and growth conditions. There is moderate blunting effect on cutters which should be kept sharp. Can be stained and polished to a good finish. Flooring, furniture, vehicle construction, interior joinery. Plywood manufacture and sliced for veneers. Not suitable for exterior work. The timber seasons fairly slowly with a tendency to check and split. 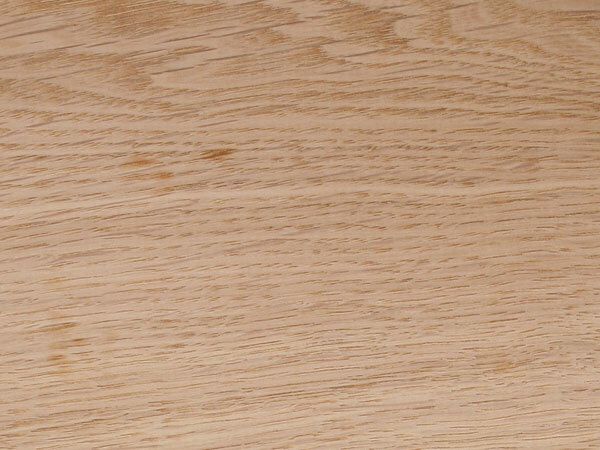 American White Oak resembles European Oak, being a mixture of species. However it is more variable in colour, pale yellowish-brown to mid-brown. It varies also in quality according to the locality; thus Oak from Canada and the Northern USA is generally harder and heavier than that from the Southern States. The characteristic silver grain figure, due to the broad rays, is shown to advantage on quarter cut material. The grain is generally straight and the texture varies from coarse to medium coarse. 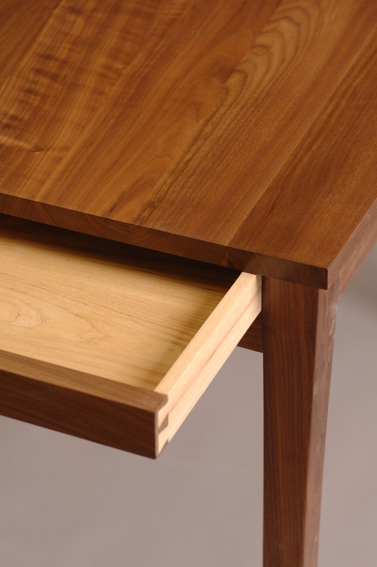 Considering its density, the timber can be worked fairly readily, taking a smooth finish. 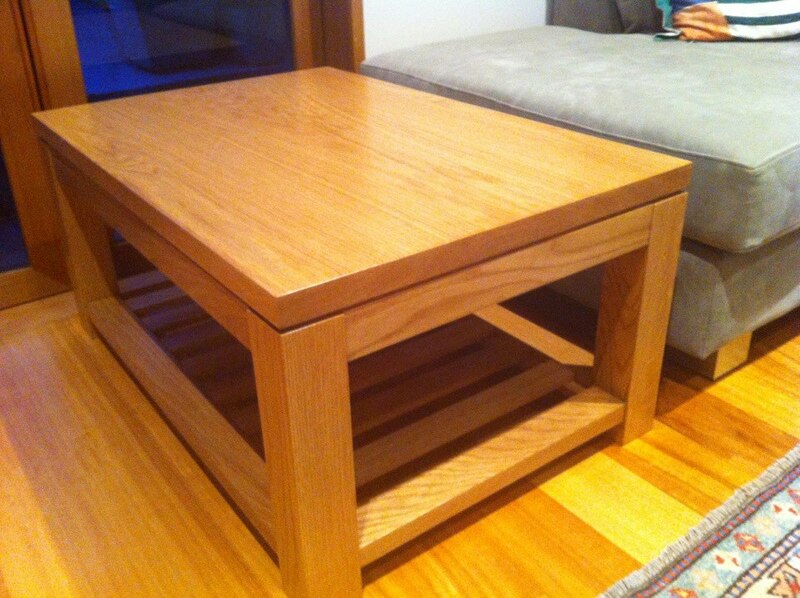 The timber can be glued, stained and polished and takes nails and screws well. 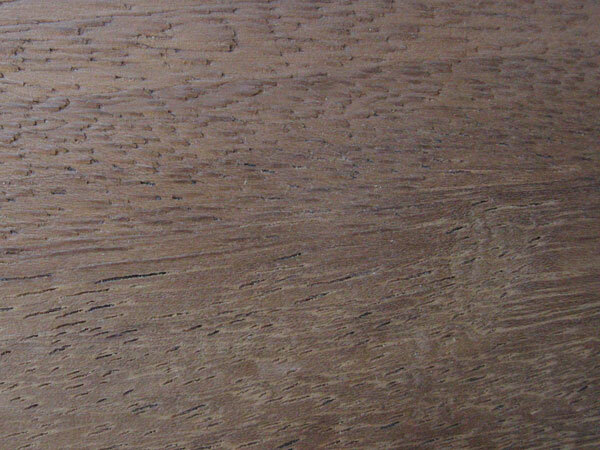 In common with other species of Oak, White Oak corrodes metals, particularly iron, steel and lead. 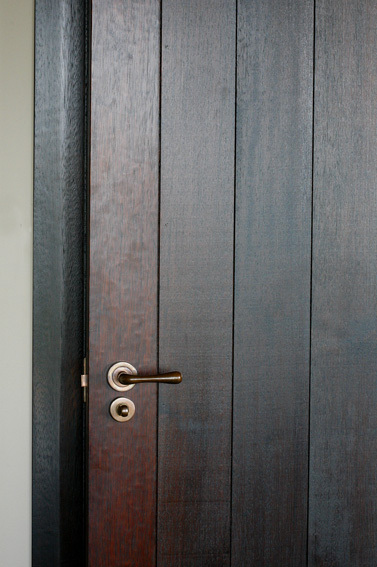 Blue-black discolourations from the tannic acid in the wood are liable to develop when it is in contact with iron or iron compounds under damp conditions and PVA glues. Use of non-ferrous metals for fastening and fittings is recommended. 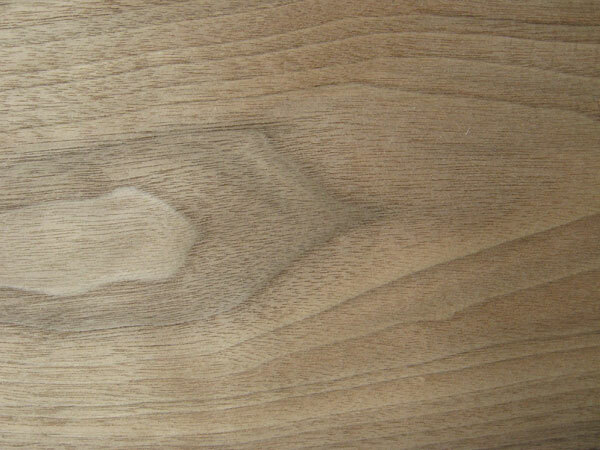 Because of its good all-round strength and resistance to decay, White Oak is used for a wide range of constructional work, including ship and boat building. It is traditional for high-grade furniture, interior woodwork and flooring. Because of its impermeability, the timber is suitable for vats and casks for holding liquids such as wine and spirits. Pale cream to yellowish brown sometimes with a pink tinge. Grain is generally straight with a medium to coarse texture. Can corrode iron, steels and lead. Country of Origin: South America. (60-63lb/ft³) averaging 860kgs/m³ (54lb/ ft³). Dries fairly rapidly with little degrade. But care is needed to dry out the centre of thick pieces. Air drying is slow, with some end and surface checking or case hardening. 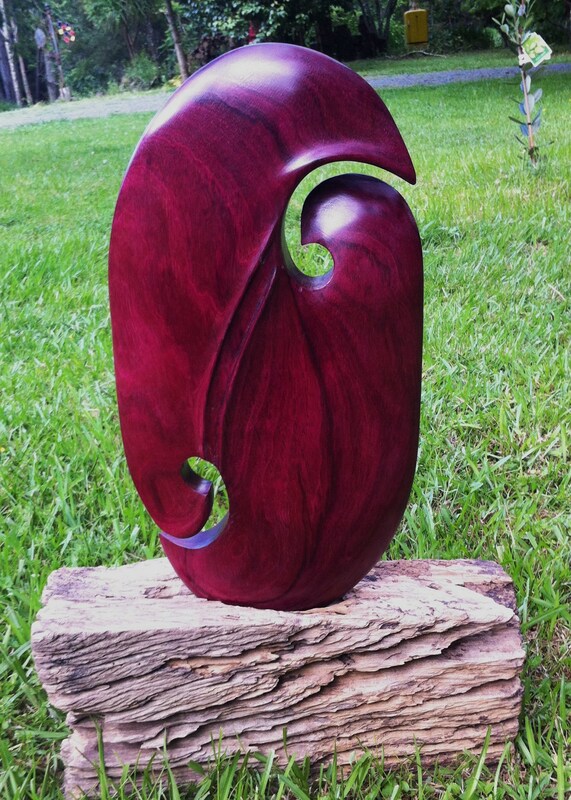 The heartwood is a deep purple-violet colour when freshly cut, maturing to dark brown. The original colour is restored when re-cut. Straight grained, but often irregular, wavy and sometimes interlocked, producing a pleasing striped figure on quartered surfaces. It is rather difficult to work, with moderate to severe blunting effect on tools. It exudes gummy resin when heated by dull cutters and the material is best run slowly through machines equipped with high speed steel knives. The wood turns well and smoothly. Pre-bore for nailing, glues without difficulty and stains and wax polishes easily. Spirit finishes remove the purple colour. Although expensive, it is used for heavy constructional work, bridge building, fresh water piling, dock work, cladding, house construction and vats. Excellent for flooring and very suitable for gymnasium equipment, shafts, tool handles, boat building, turnery, furniture and billiard tables. Also as decorative veneers for inlaying and marquetry work etc. Best colour from sawcut as steaming affects the soluble phonicoin content. It is a very stable timber and seasons well with little or no degrade, but care should be taken (as with all island species) not to dry the timber too fast, when distortion and checking can occur. Variable, but generally a red brown to blood red colour. 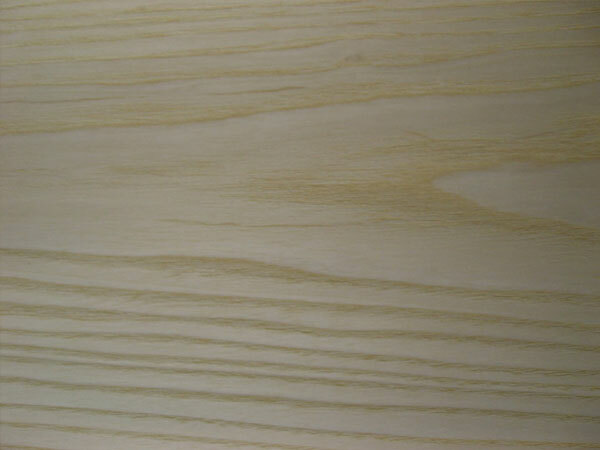 Sapwood is white to pale yellow. Grain is interlocked and sometimes wavy, with a moderately coarse and uneven texture. 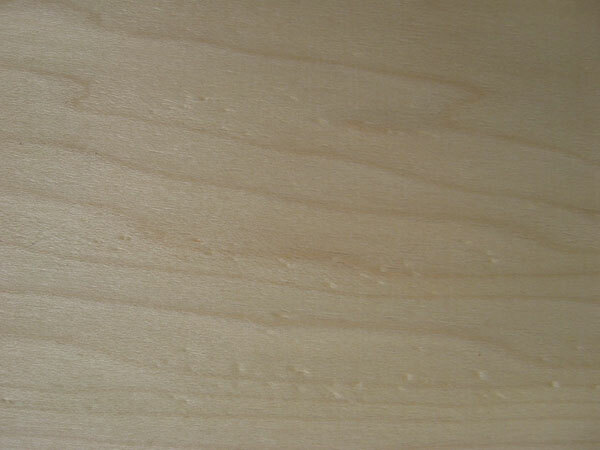 Quarter sawn material has distinct ribbon figure while the back sawn boards produce a flame-like figure. 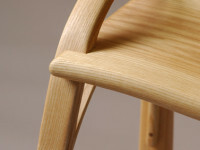 The timber is naturally lustrous. Although a handsome timber, it has neither the density nor the depth of colour of the Rosewood found in South America or India. The timber is readily converted and works well with both machine and hand tools. It is capable of taking a very high polish. 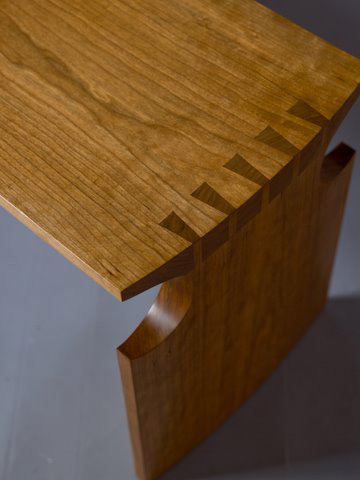 Furniture, veneer, cabinet work, rifle butts, panelling, musical instruments and knife handles. Requires care in kiln drying to avoid distortion and degrade. The wood is medium hard and medium weight. 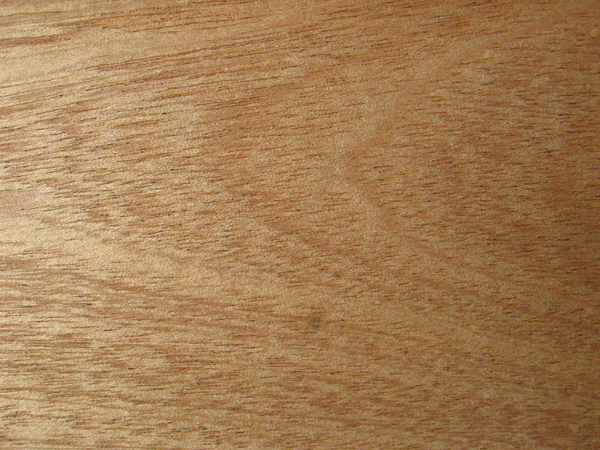 Planed surfaces are mildly lustrous. The heartwood is pinkish-red when freshly cut, darkening to a rich red-brown. The most striking feature is the double spiral grain which produces a very regular stripe or rose figures in quarter sawn material. The texture is fine and even and there is a pronounced cedar-like smell when freshly cut. Saws easily and cleanly with little waste and works fairly easily with hand and machine tools although the interlocked grain may be troublesome in planning and moulding. To eliminate picking up quarter sawn material, the cutting angle should be reduced to 15°. Takes nails and screws and glues well. It takes a high polish. 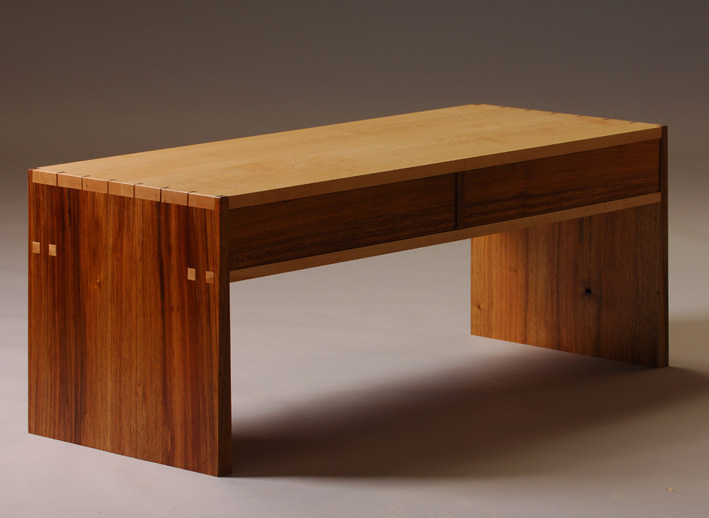 Gifted with both strength and appearance, the timber has a wide range of uses. It is used for furniture, paneling, shop and window fittings, high class interior joinery and all general cabinet working purposes, including boat building. 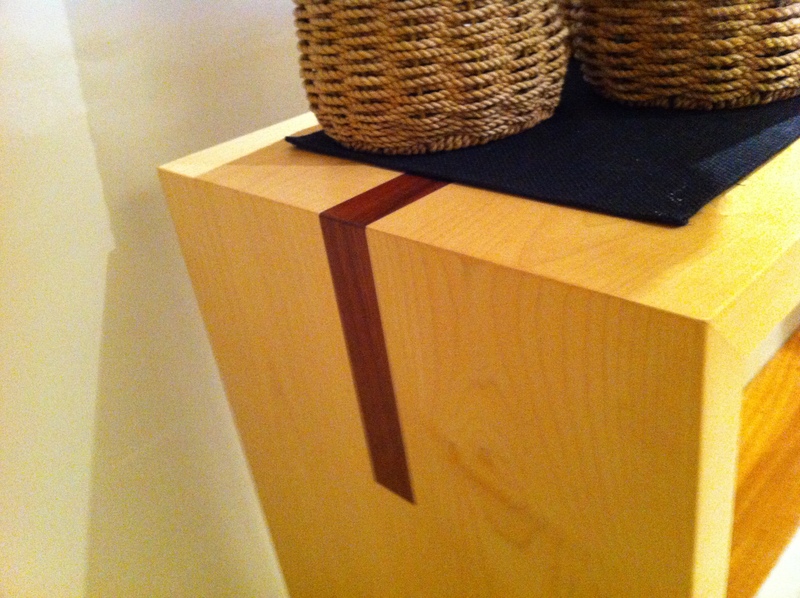 Widely used for decorative veneering, it is often sliced to show the narrow ‘pencil’ stripe which is a characteristic of the species. It is also used for rotary cut plywood. 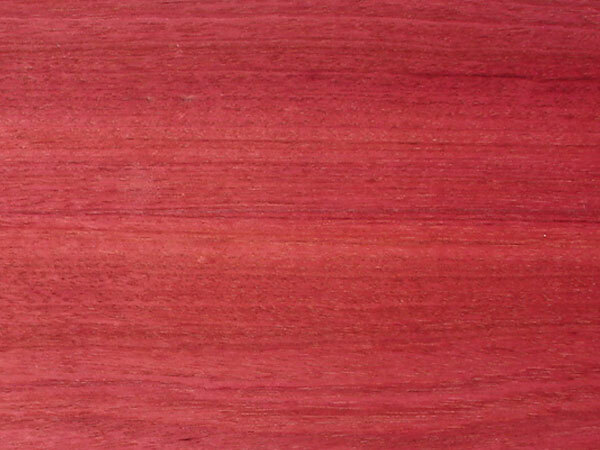 A pinkish red to dark rich red brown timber. Stains readily and takes an excellent polish. It is fairly close textured with interlocked grain. 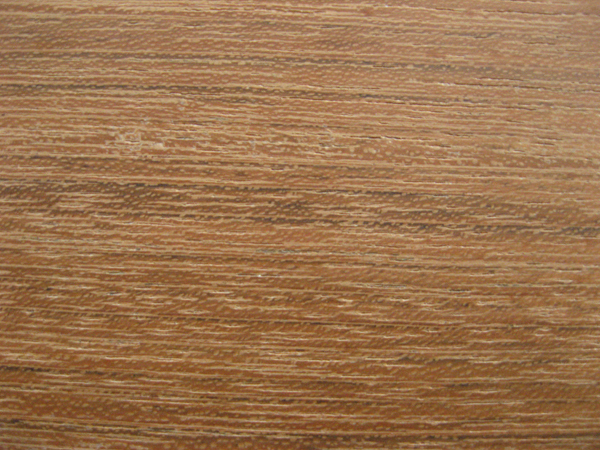 Quarter sawn timber produces a regular striped effect. The heartwood is dark golden-yellow darkening with exposure to brown or dark brown. Sometimes figured with dark markings. Can have a greenish tinge when freshly cut. 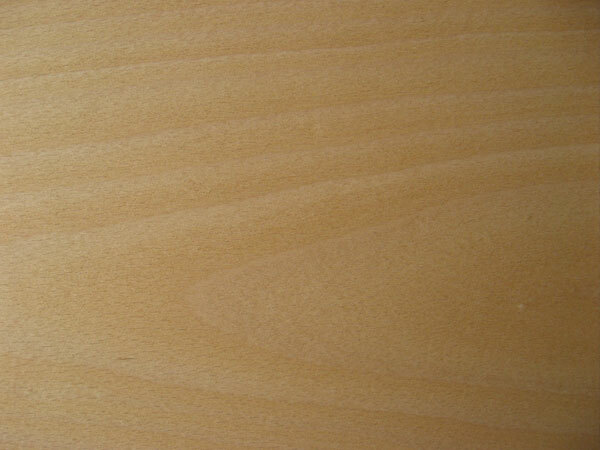 The timber is dull with an oily feel and has a unique scent when freshly cut. The grain varies from straight to wavy depending on origin. 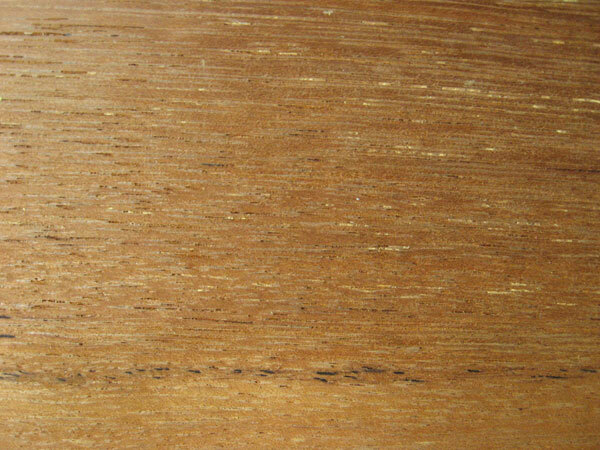 The best teak comes from Burma being generally straight grained and uniformly golden. The texture is coarse and uneven. 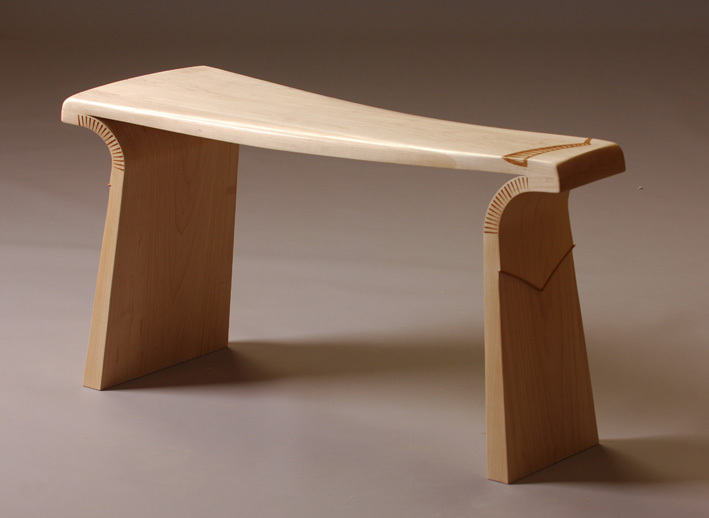 Although working qualities can be variable, the timber generally works with moderate ease. 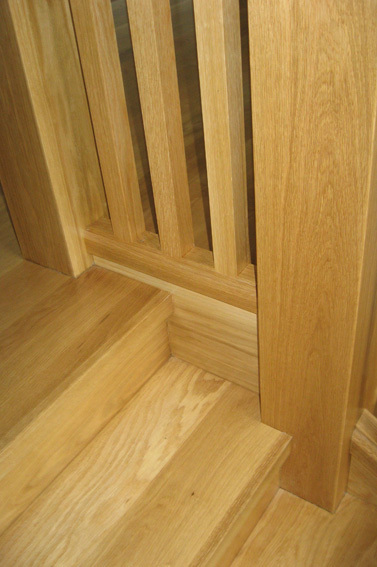 It can have a dulling effect on cutters but the timber is capable of a good finish. It turns well and can be glued, stained and polished. 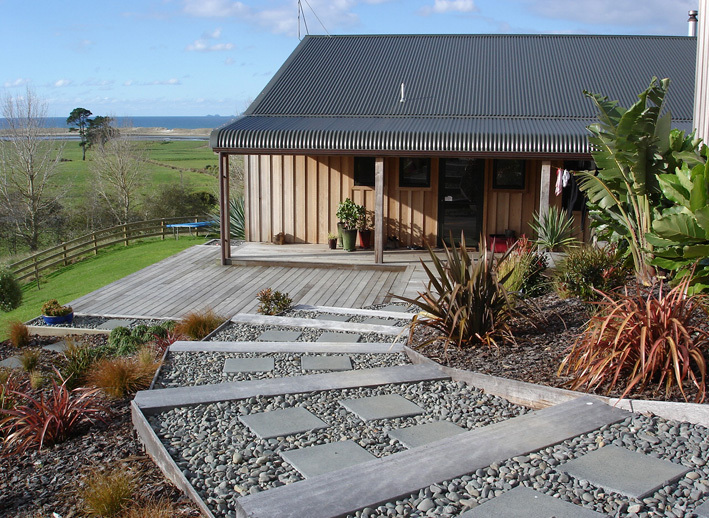 Boatbuilding, joinery, furniture and decking. Veneers available in crown and quarter cut. Very expensive, especially in long lengths. Heartwood tends to be a medium to dark brown, sometimes with a reddish or purplish hue; some pieces may have streaks of yellowish or greenish brown .Lustre is low to medium. Grain is interlocked, with a medium texture and a waxy feel. Tends to be difficult to work on account of its density and interlocked grain. 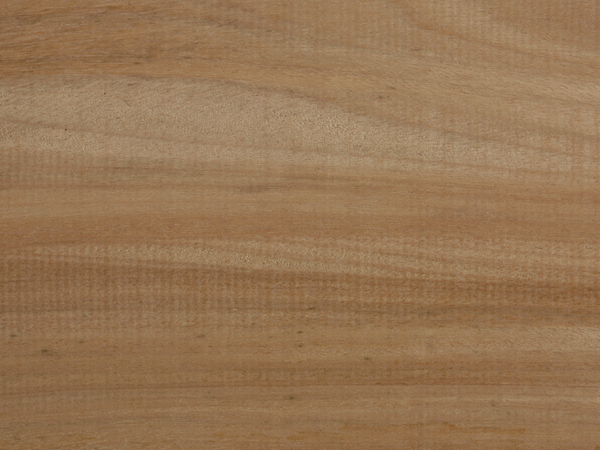 If the grain is not too interlocked, Cumaru can be surface-planed to a smooth finish. However, the wood contains silica and will have a moderate blunting effect on tool cutters. Due to its high oil content and density, Cumaru can present difficulties in gluing, and pre-boring is necessary when screwing or nailing the wood. Flooring, heavy construction, docks, railroad ties, bearings, handles, and other turned objects. Seasons well with little degrade providing stacks are closely spaced. Cream grey heartwood, with a fine even texture. Freshly sawn boards have a leathery odour and the timber is greasy to the touch. The timber planes and machines well and is easy to cut across the grain. 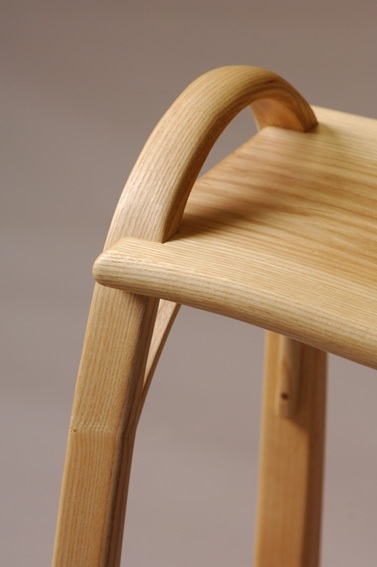 A good finish can be obtained and it has good bending qualities. Holds nails well without pre-drilling. 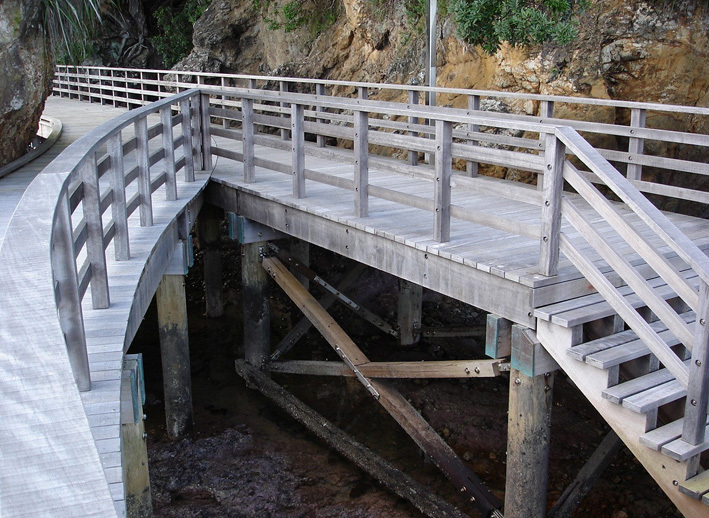 Decks, rails, cross-arms, bridge and wharf decking, boat-building. Machines well with some care. Durability: Heartwood is reported to be very durable, resistant to subterranean termites, and fairly resistant to dry-wood termites. 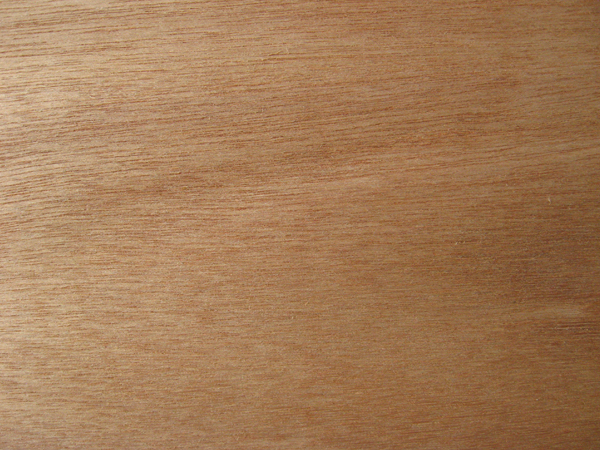 Heartwood – dull reddish brown with darker markings due to resin. Though the wood has a high density, it is easy to work with hand and machine tools; however, high gum exudation clogs saw teeth and cutters. Once kiln dried, gum exudates are not a serious problem in machining; glues and polishes well. Remarkably well suited for use as transmission poles, flagpoles, and posts. Its good strength and durability qualify the timber for railway ties, shoring, bridge timbers, and mine timbers. In building construction it is used for foundations, sills, joists, framing, roofing, siding, and veranda posts. It is also used for vat staves, shingles, and paling. The high resin content of the wood makes it an excellent flooring material in chemical factories, mills, and warehouses. Seasoning: Dries slowly with a tendency to honeycombing. The wood has a fine even texture but a rather coarse grain. The colour is a rich chocolate-brown to purplish-black. 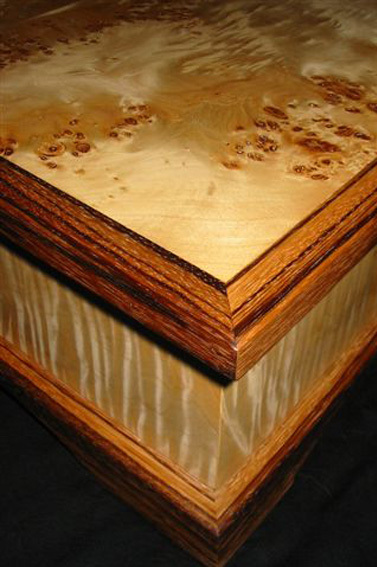 The sapwood is pale brown, however with conditioning through steaming the sapwood is coloured to the heartwood shade. The timber is moderately hard, tough and strong, however it is easily worked. It finishes well and takes an excellent polish. Fine furniture, high-class joinery, gun stocks, musical instruments. Good staining and polishing qualities. Dries slowly with a tendency to surface check. 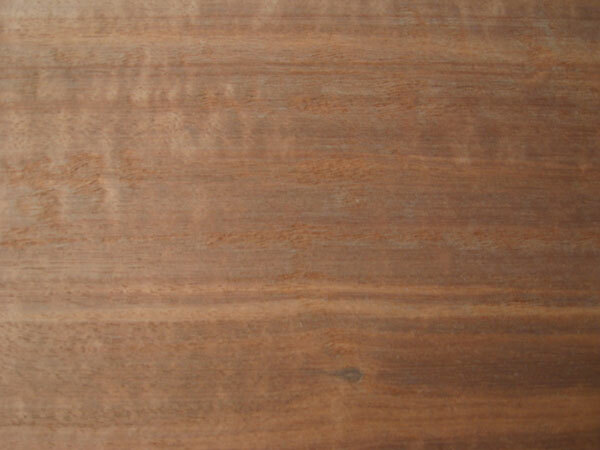 The heartwood is dark brown with fine, close blackish veining giving the wood a handsome appearance. 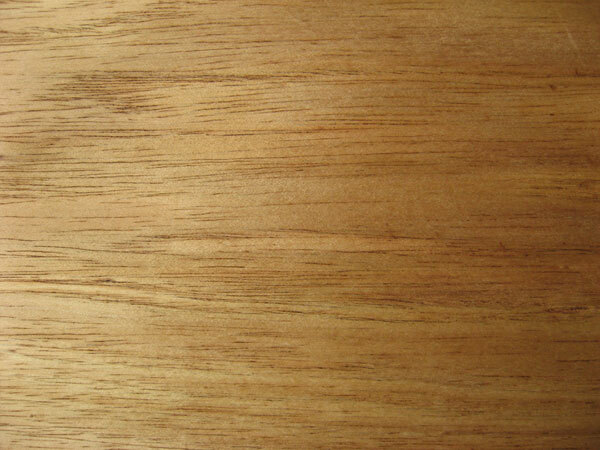 A very heavy hardwood, it is straight grained with a coarse texture. Fine furniture, flooring and interior decoration. Straight grained with coarse texture. Takes stains and polishes very well. Dark brown with beige and black flecks. 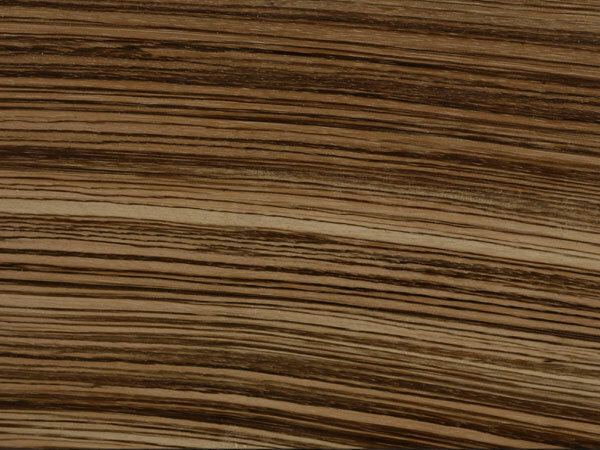 The heartwood is golden brown, with narrow-veining or streaks of dark brown to almost black, giving a zebra stripe appearance. It is fairly hard with good toughness and impact properties. Easily worked although interlocked grain can cause some planning problems. Glues, sands, stains and polishes well. Cabinet-making, boat building and interior decoration. Golden, yellow-brown with narrow streaks of dark black / brown. Interlocked grain can cause problems.